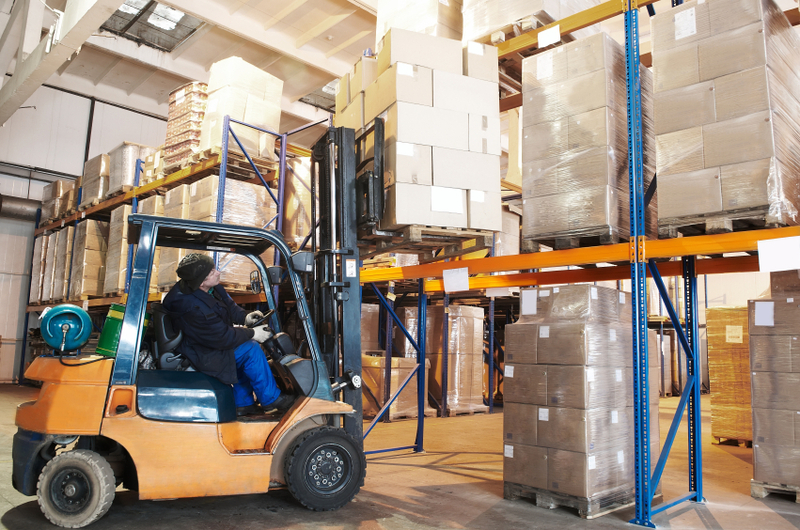 Fork lifts are the mules of the industry, and we expect them to just power up and run when we need them to, but there are some very important safety aspects that should be taken care of before every shift. Safety steps that lengthen the service life of the vehicle, assure the vehicle operates as it should, and helps make it more visible to others working in the same space with the forklift. Oil, battery charge, and fuel levels should be checked and remedied if any are low in order to keep the fork truck operating at full capacity during the shift. Replace low batteries now, not when you run out of speed or lift power. Top off oil levels and fuel as well. If a gauge is reading low, there’s a reason. Failure of a system is not an option when you’ve got thousands of pounds of product raised in the air, or moving through crowded areas with other workers at peril. Coolants are what keep an engine running smoothly. When levels are low, you run the risk of the engine overheating and seizing – reaching a point where the engine is so hot that the metal components soften and stick together. Not a good thing. Keeping coolants filled to the correct level will help make sure the vehicle isn’t billowing smoke or losing control due to an overheated engine. Horns and lights are the way a forklift lets others know it is in the area and in motion. Failure of either of these devices can lead to catastrophic injuries from workers stepping into the path of the fork truck to the inability to use the horn to alert others of falling materials raised in the air. Be sure lights, horn and backup signals work correctly. Be safer to be around. Test how much play there is in the steering wheel. Does it turn the wheels at an angle and rate that is suitable for safe use? Despite its bulky size, a fork lift is a precision instrument in the hands of a safe driver. Safe steering is the key to that precision. If the wheel play is excessive, you’re not going to have the responsiveness you need in critical situations. Making this 4 step inspection process part of every forklift driver’s normal shift change assures your vehicles are in good operational condition, will respond as needed during use, and can make others aware of their presence in an area. Four basic check points – that’s all it takes to be sure your machine is in the safe-to-use zone. After that, safety is literally in the driver’s hands.